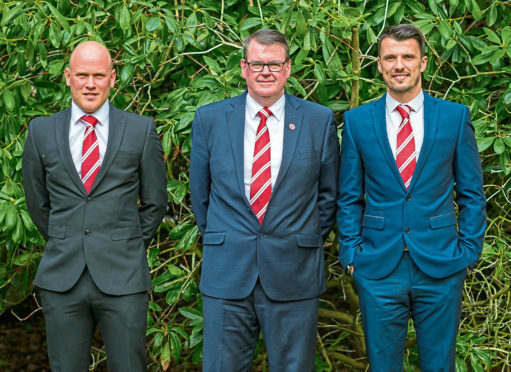 New Brora Rangers manager Steven Mackay looks set to continue his long and distinguished playing career when the Highland League season gets underway on Saturday July 28. The former Ross County, Nairn County, Forres Mechanics, Elgin City, Peterhead and Brora left-sided player, who will celebrate his 37th birthday next month, took over the Dudgeon Park hotseat when Ross Tokely stepped down at the from start of May. Manager Mackay said: “I’ve not ruled out the possibility of playing on, I am going to do the pre-season build-up to keep myself fit. I can’t do now what’s right for me, it’s got to be what’s right for the football club, if I’m contributing and playing and training well, and feel that I can make a difference on a Saturday, then we will look at that. “We will just gauge it, but at this moment in time I’m not ready to stop playing, we’ll just wait and see what happens. Mackay went on to confirm that he can’t wait face the challenges of management. He said: “I’m really pleased that the club have taken a little bit of a risk in my appointment.